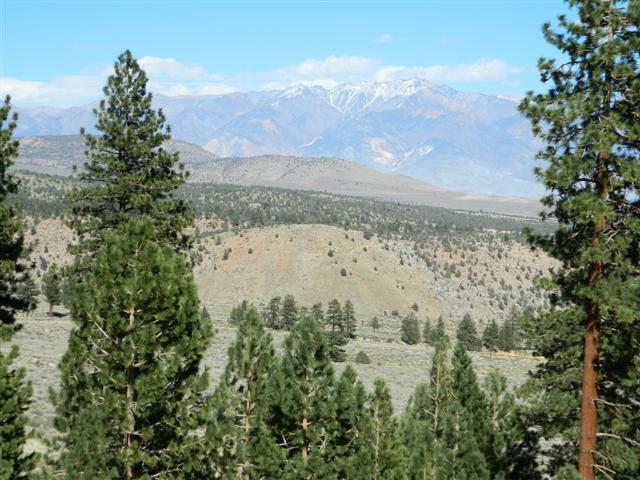 View lot in the Mountains of Bishop, California. Quiet and secluded 1.26 acre lot with unstoppable views! Mature Jeffrey Pines in beautiful Swall Meadows. This is the opportunity you've been waiting for! Build your dream home or purchase the lot and the mountain cabin next door for your own private retreat. Both properties are available - a once in a lifetime chance to have a mountain home on over 2 acres of gorgeous naturally landscaped property. Lot will need well and septic. Electricity, phone and propane are all available. To view available property next door look at MLS # 2307816. The Swall Meadows neighborhood of Bishop is nestled on the eastern slope of the Sierra Range about 25 miles north of Bishop. The homes in this area were built between the 1970’s up to the present. Swall Meadows is known for its expansive parcels and breathtaking views. There is a volunteer fire department and several properties are serviced by community water systems with the remaining parcels being serviced by private wells. The properties in this area have private septic disposal systems. Being at a slightly higher elevation, Swall Meadows does receive snow in the winter months. This area has over the years become a bedroom community of both Bishop and Mammoth Lakes, California, in addition to resort living.